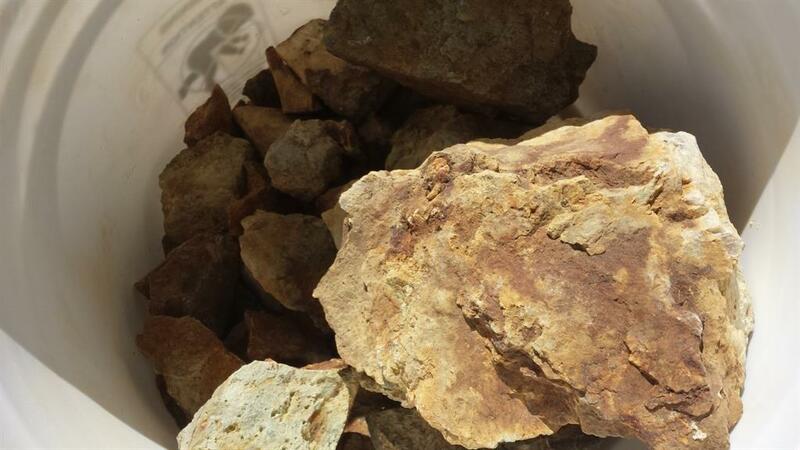 VANCOUVER, BC / ACCESSWIRE / November 6, 2018 / Ximen Mining Corp. (TSX.V: XIM) (OTCQB: XXMMF) (the "Company" or "Ximen") is pleased to announce the completion of a gold recovery batch test of portal stockpile material on the Brett Gold Property, located near Vernon, British Columbia. The purpose of this test was to provide a rough validation of the historic reported average of 4 to 5 Au g/t (gold grams per tonne) for the portal stockpile near the Brett Portal (Minfile report 082LSW110). The portal, completed in the 1990s, is the entry to 360 m of underground development on the Main Shear Zone. During this development, approximately 1400 tonnes of mineralized muck was stockpiled adjacent to the portal. The test sample consisted of two, five-gallon pails of cobble to boulder sized rock fragments collected from the surface of the stockpile. The hand-selected rock fragments were either observed as flooded with quartz veining or intensely altered (see Photo 1). The complete 34kg sample was triple crushed using jaw-rolls crushers and screened to 20 mesh (0.90 mm). The crushed, screened, and weighed material was fed through a gold shaker table (see Photo 2). The table, buckets, and crushers were cleaned before and between sampling. The various sample products (concentrate, midlings and tailings) were collected from the discharges and shipped to Vancouver ALS Canada laboratory for 33 multi-element analysis by four acid digestion and Inductively Coupled Plasma-Atomic Emission Spectrometry (ICP-AES) analysis which included gold and silver. The results of the test are displayed in Table 1. The gold shaker table requires continuous feed to operate properly. During the end of the sample cleanup took place and some cross contamination between tailings and midlings may have occurred. 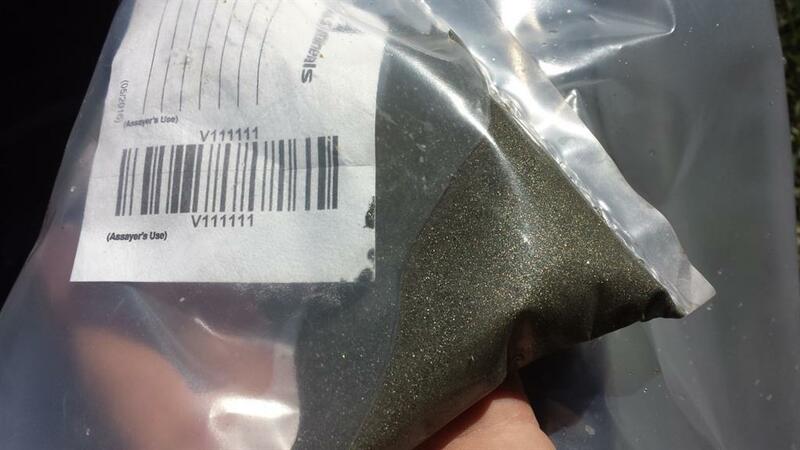 Gold particle size and crush size may be responsible for gold found in tailings. The weighted average grade of the 34.0 kg sample was estimated to be 4.20 Au g/t, which falls in the historically reported average of between 4 to 5 Au g/t from the 1990 work. Since the entire pail of tailings was not dried and weight, the total tailings weight is assumed to be initial crush minus the concentrates and midlings. Given the historic reported average of 4 to 5 Au g/t (gold grams per tonne) for the portal stockpile near the Brett Portal has now been validated, focus will be towards carrying out additional metallurgical testing to characterize the nature of the gold within the stockpile to provide the best optimization options for gold recovery (e.g. bulk mineral analysis with estimate of liberation, QEMSCAN, etc). Robert Tilsley, P.Geo., a Qualified Person as defined by NI 43-101, is responsible for the technical information contained in this News Release.